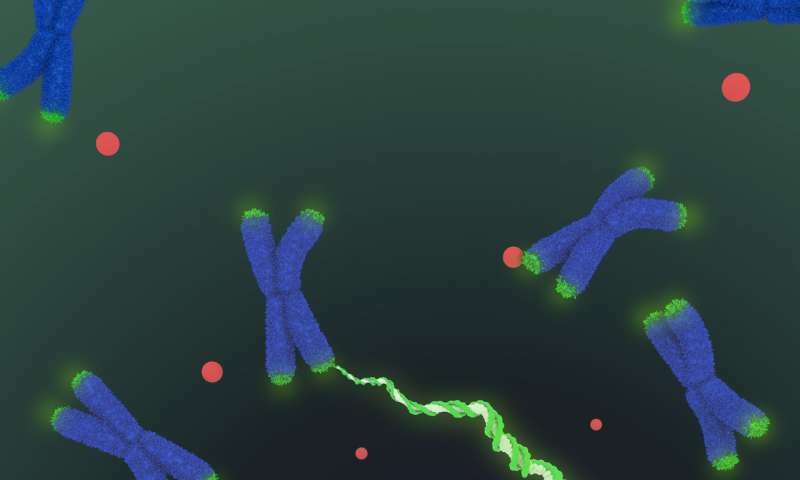 More than 30 years ago, when University of California, Berkeley researchers discovered telomerase—an enzyme that lengthens chromosome ends and prevents them from fraying enough to kill a cell—speculation ran wild about its role in aging and cancer, setting off a full-court press to produce drugs to activate or block the enzyme. Without consensus on these questions, it has proven difficult to design a drug to target the molecular machine and either destroy telomerase activity—which could stop a cancer that has boosted its telomerase levels—or restart telomerase, perhaps to prime the body for rapid cell division after a bone marrow transplant. 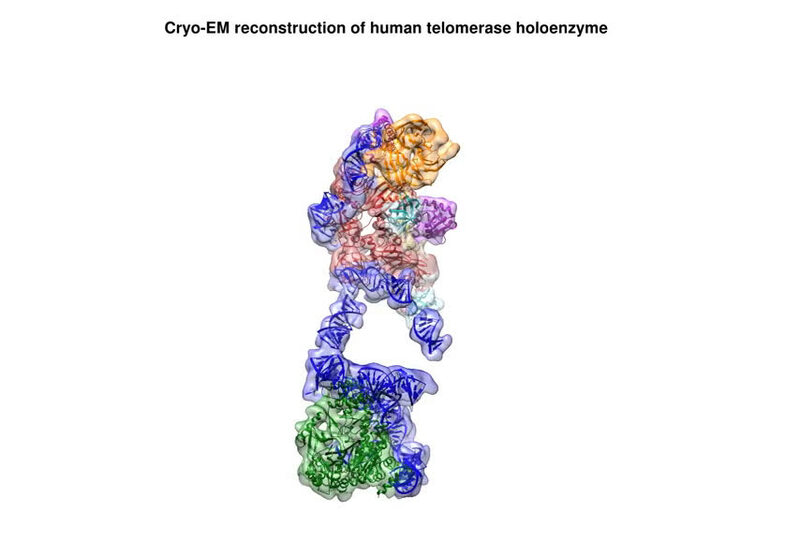 "The best previous images of human telomerase had a resolution of only 30 Ångstroms; we were able to get about 7 to 8 Ångstroms resolution using cryoelectron microscopy," Kelly said. "When I got to the point where I could see all the subunits—we had 11 protein subunits in total—it was a moment of, 'Wow, wow, this is how they all fit together.'" Nguyen, Collins and Nogales are actively working to improve the resolution to 3 or 4 Ångstroms—about the size of two carbon atoms—which is sufficient for drug design.